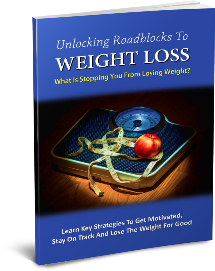 One of the biggest issues people have when trying to lose weight is their lifestyle. They’re fully prepared to eat the right foods and do the appropriate exercises but then life gets in the way and throws all their hard work out of the window. The good news is that with a little planning and consideration, you can burn body fat while also dealing with the challenges that life throws at you. In this article I’m going to be helping you do exactly that by providing you with five of the best weight loss lifestyle tips. Exercising in the morning isn’t the only way to lose weight. However, if you lead a busy lifestyle, exercising first thing ensures that you get your workout in before the pressures of the day set in. Scheduling your workouts for later in the day when you’re already busy makes you a lot less likely to follow through with them. Therefore, if your schedule allows it, make your weight loss workouts the first thing you do when you wake up. One of the main reasons people eat unhealthy meals at short notice is because they’re running short on time. They plan to eat healthy but then something comes up at short notice and they don’t have time to put together a healthy meal, so they grab some fast food instead. However, if you set aside some time each week to prepare a batch of healthy meals, then you’ll always have something healthy available for the times you’re in a rush and you’ll never have to resort to fast food as a quick fix again. Even when you lead a busy lifestyle, you’ll find that sometimes appointments are cancelled or moved and you’re left with unexpected blocks of free time. These blocks of free time are a fantastic opportunity to get a workout in and burn some extra body fat. However, to take advantage of them, you need to have the right gear close by. Therefore, make a point of always carrying some workout clothes with you, so that if a block of free time opens up during the day at short notice, you’re fully prepared to make the most of it. Most people don’t walk as much as they could. They take the elevator instead of the stairs and use their car for short journeys that could be easily completed on foot. However, walking burns 240 calories per hour, so by walking whenever you can during the day, you can give your fat loss efforts a notable boost. Just an hour of extra walking per day will burn off over 1,500 calories during the week and over 7,000 calories during the month. So next time you head for the elevator or grab the car keys, think whether that’s really the best decision for losing weight and if possible, turn it into an opportunity to add some extra walking to your day. One big mistake people make when trying to lose weight is being too rigid with their cheat meals. They decide that one day of the week is their cheat day or allocate certain days and times during the week as cheat meals and then if they end up eating any cheat meals outside of these allocated slots, they feel guilty and disappointed. However, life is spontaneous and things will come up at short notice that make it difficult to stick to your healthy eating plans. So instead of beating yourself up about these spontaneous cheat meals, adapt your healthy eating schedule and give yourself a 20% cheat meal allowance during the week but don’t allocate dates and times to it. Then when you have a cheat meal at short notice, remove it from your 20% allowance. This approach is much more flexible and allows you to adapt your healthy eating plans based on what life throws at you while still sticking to your healthy eating goals. As you can see, with the right attitude, it’s possible to stick to your fat loss goals in any situation. So take another look at these tips, start implementing them today and ensure that your lifestyle doesn’t ever hinder your weight loss goals again.